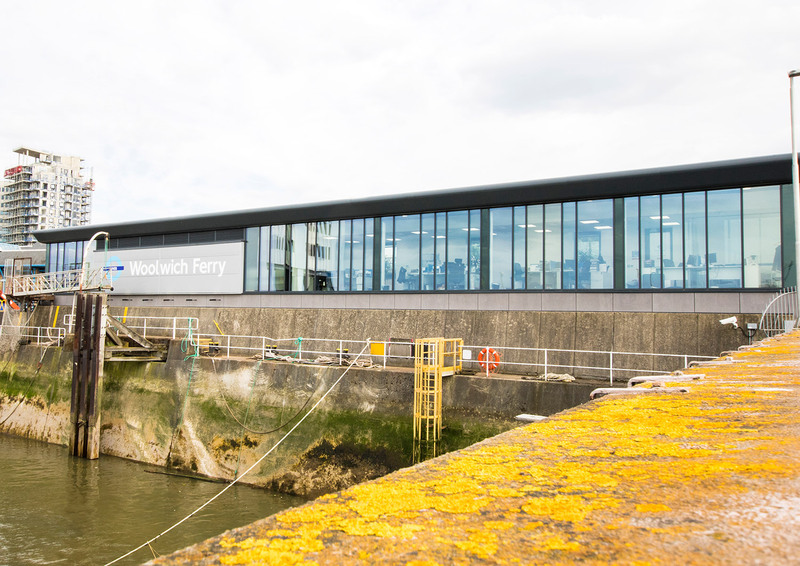 Woods Hardwick has recently delivered a new, purpose-built operations office for Briggs Marine on behalf of Transport for London (TfL) to monitor and assist the ferry operations at Woolwich Ferry, London. The unique lightweight office was erected on an existing concrete viewing platform to the south bank of the River Thames, replacing old stacked portacabin offices. Sustainable materials were used in the construction to maximise the life span of the building – given its proximity to the Thames and the potential damage from the impact of salt water. This included a distinctive zinc roof and cladding panels which were treated with a special protective coating to prevent salt damage and reduce the need for ongoing maintenance. 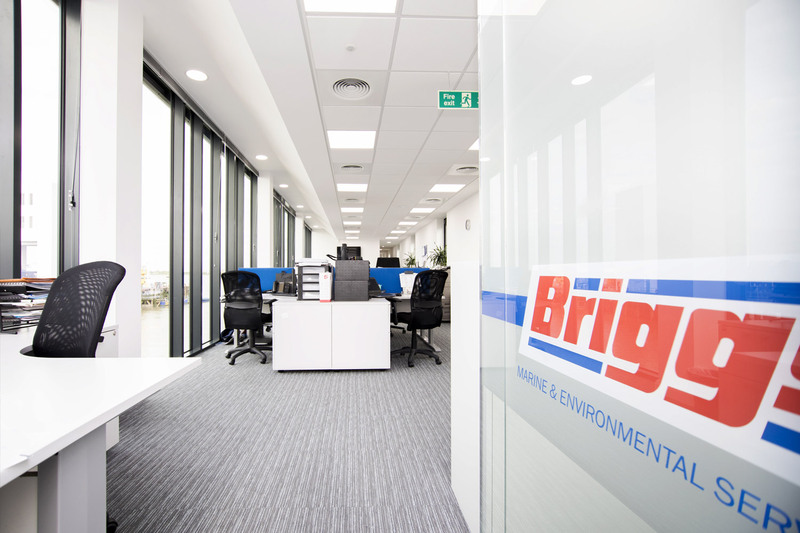 We create a new two storey entrance and reception block for the offices, which included a DDA compliant lift leading to the first floor. Facilities included an open plan office, conference room, meeting room, kitchen and toilet facilities, along with staff lockers and drying room.